“THE NEXT ONE SHOULD BE A TIGER!! !” I still remember seeing this subject line roaring at me from my inbox. I blinked twice. Huh? And then I clicked and realized it was an email from a librarian requesting a new animal for my Peek-a-Zoo series (on behalf of a child during a digital story time). I remember thinking, “What a great idea!” And then I remember wishing I could ask the child what other animals he wanted see. These kinds of heart-felt reactions are what actually inspired me to start making apps. When my son was a year old, one of his favorite books was Dear Zoo by Rod Campbell. The story is simple. 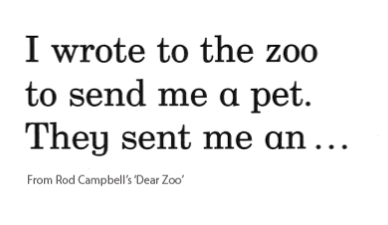 It starts with, “I wrote to the zoo to send me a pet. They sent me an……” and then with each subsequent spread, we are greeted with special deliveries from the zoo–a basket, a box, a blue crate, a green crate, each represented by a durable flap that encourages the child to discover for himself what’s hiding in the box. Every night, my son and I would sit down with Dear Zoo, and with each new page/package, my son would grab the flap and open it with such zeal, it was as if it were opening it for the very first time. We read so many books, but nothing seemed to capture his attention and his imagination like Dear Zoo. These kinds of reactions are what I strive for with every app I make–a desire to see more (a tiger!! ), to do more (“I want to see a real sting ray!”), and to discover (more underwater animals!). And it’s in this regard that I feel apps and books go hand in hand. A digital app is a natural extension of a physical book, and like books, there are thousands (and perhaps soon millions) of titles to choose from. Who better to cull the pile than a librarian? And who better to inform app developers on what kids (and librarians) might enjoy or need from their apps? 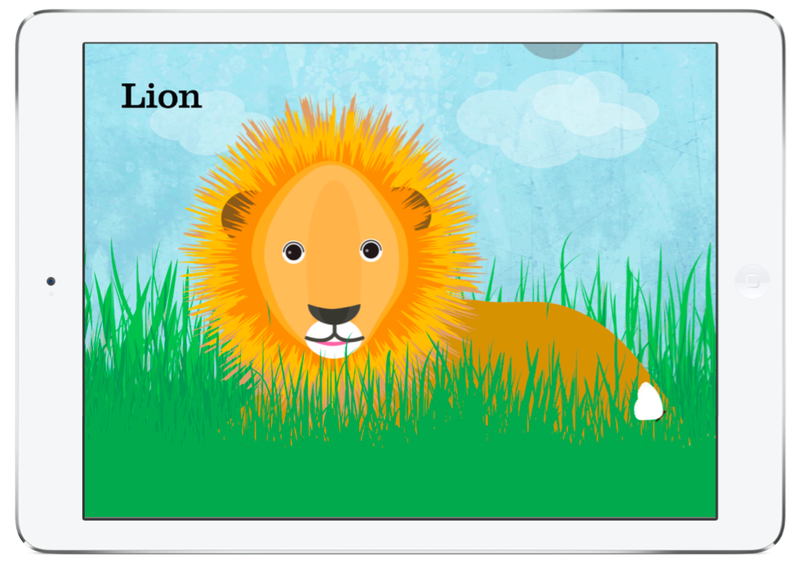 Jenny Talavera is a mom/designer turned app developer/zoo keeper. You can learn more about her and her apps at http://treebetty.com. When she’s not in front of her computer, she’s either surfing, making a grilled cheese sandwich, or standing in line at Legoland. You can find her online on Facebook and Twitter (@treebetty). Posted on March 21, 2014, in Apps and tagged app developer, Jenny Talavera. Bookmark the permalink. Leave a comment.